Eating healthy doesn’t have to be difficult or complicated, nor does it have to involve following fad diets. Set out below is an easy to follow healthy eating guide that highlights the main features of a healthy diet. In fact a healthy lifestyle can be achieved just by following these 10 easy steps. Forget about complicated figures, calculations and weighing food. This easy to follow guide has been devised to make a healthy lifestyle achievable for everyone. The basic rules of healthy eating haven’t changed. Eating a variety of food from all of the major food groups ensures that we receive sufficient nutrients for a healthy body. The key to the healthy eating guide is to eat a wide range of foods each day. Some days that’s not always possible, we all have good and bad days. But if we follow this principle most days, over time it adds up to an overall healthy diet. Balancing the amount of food we eat with the amount of exercise we do will maintain a healthy weight. But remember, it’s not just a matter of eating less, it’s what we eat that’s also important. Aim for at least 30 minutes of moderate activity on most days. It doesn’t have to be a high intensity workout. Find activities that you enjoy, such as riding a bike or walking the dog. Walking is one of the best exercises. It’s low intensity, it’s free and doesn’t require any special equipment. Try being more generally active. Take the stairs instead of the lift, park your car further from work, take up activities such as dancing or bowling. If you haven’t been physically active start out slowly and gradually build up. Alcohol provides empty calories – it contains absolutely no vitamins or minerals, as well as contributing to liver disease and other health problems. What is a moderate amount of alcohol? As a guide this is generally accepted as 1 drink a day for women and 2 drinks a day for men. 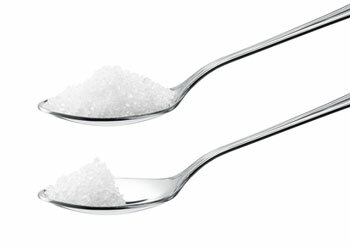 Sugar is the smallest or simplest form of carbohydrate. It is found naturally in many foods such as fruit. In terms of healthy eating, most of the sugar in our diet should come naturally. It is also added to much of our cooking and baking. Unfortunately it is a necessary ingredient in many recipes. This type of sugar, known as refined sugar, has no nutritional value and simply adds calories. It is simply not possible to eliminate all sugar from our diet. For most people a moderate amount of refined sugar in our diet won’t cause problems. What matters most in a healthy diet is eating the right kind of fats. Research has shown that the total amount of fat in the diet isn’t linked to weight gain or disease. What matters is the type of fat and the total calories consumed. To know what you should be eating, you need to understand the different types of fat. Trans fats increase the risk of certain diseases. Saturated fats should be substitituted with unsaturated fats, such as monounsaturated and polyunsaturated fats. The message is we should be choosing food that contain healthy fats and limiting foods high in saturated fat and trans fats. Too much salt in our diet increases the risk of developing high blood pressure. To reduce our salt intake we need to choose low-salt foods, add less salt to our cooking and use less table salt. When buying pre-packaged, processed foods read the labels. 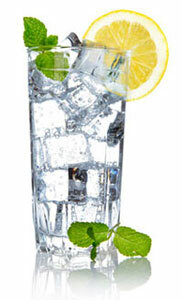 Water has no calories and also no nutrients, but nevertheless is vital for the proper functioning of our bodies. To be in the best of health you need to be properly hydrated. Over half of our body weight is water and without it our bodies quickly become dehydrated. Many people make the mistake of skipping meals when trying to lose weight. But this is not part of the healthy eating guide. Your body will simply crave food and you are more likely to overeat at other times. Eating balanced, healthy meals at regular times makes it far easier to stick to a healthy eating plan. Somehow over the years, portion sizes have increased. How much we eat is as important as what we eat. To reduce portion sizes, check the size of the plates and bowls you use. Switch to smaller ones if necessary. A small plate filled with food will look far more inviting than a large one half filled. You won’t feel as though you’ve been short-changed. There's no need to eliminate food groups. 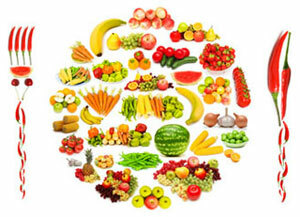 In fact eliminating certain food groups or limiting your food choices means you are missing out on important nutrients. Following a healthy diet is not hard. It simply means eating a wide variety of foods from all the different food groups, in reasonable portions, and eating more of some foods and less of others. Remember, a healthy diet can make a big difference to your overall well-being and quality of life. You owe it to yourself to follow this healthy eating guide.